The bright pink mansion that belonged to Mary Kay Ash, founder of Mary Kay makeup, is on the market for $3.3 million. Located in Dallas, Texas, this 11,800 square foot home sits on nearly an acre of land and provides plenty of luxury amenities and features. 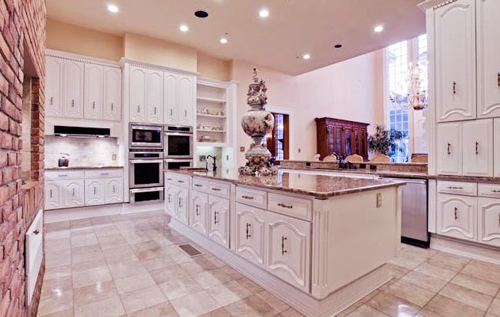 The asking price is modest, considering that the home first went on the market in 2007 for 5.7 million. The beautiful manor features six bedrooms, eight bathrooms, and seven fireplaces. The master bedroom alone is enormous, boasting 320 square feet. The home also offers landings and sweeping ceilings, including plenty of wall space for expensive artwork. The hot pink mansion also features a giant pool, along with a cabana, cleaning system, and a separate Jacuzzi. The outdoor pool area features large Roman columns, exquisite tile, and several beautiful statues to complete the classical atmosphere. 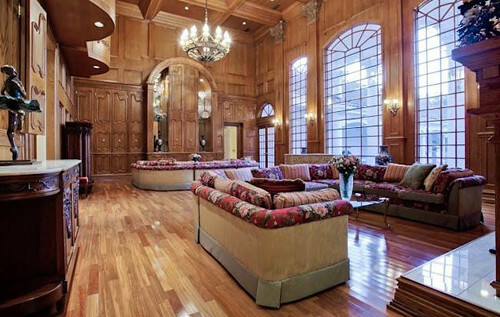 The hot pink mansion also features unique wood carvings, 40 inch ceilings with geothermal heat and air conditioning. After Mary Kay moved out of the mansion, it was populated by a new owner who adorned the home with oriental rugs and fine antiques. The pink hue resembles Mary Kay’s company; it is the trademark color and representatives of the company who demonstrated great performance would receive pink cars. The color pink is not only painted on the outside of the home, but also inside, including a pink quartz toilet. And although Barbie might be proud, the unique hue is the reason realtors have had to reduce the asking price throughout the years. Mary Kay’s cosmetic company was launched in 1963. Today, Mary Kay Inc. is a giant empire, globally renowned for its success in makeup and cosmetics. According to Mary Kay, she has run her company guided by the Golden Rule to “Do unto others are you would have done to yourself,, a rule that has also guided her many philanthropic efforts. Nearly 40 years after establishing her company, Mary Kay Ash died in 2001. Her home reflects her attitude of living to the fullest.